Camacho Cigars®, makers of premium handmade cigars, such as the highly rated Baccarat The Game & Baccarat Casino Vintage Selection, Camacho and La Fontana started out as a humble operation over 25 years ago; Today we have grown to become a successful, vertically integrated company based in Miami, Florida. We grow our own tobacco, we manufacture our own cigars and boxes, and we are our own distributors. The success of our business is based on our commitment to quality cigars, reasonable competitive pricing, and customer satisfaction. 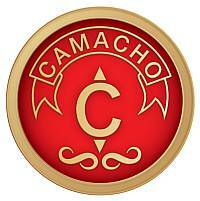 Camacho Cigars® manufactures 16 cigar names, seven of which are our own labels. These include the highly rated Baccarat The Game & Baccarat Casino Vintage Selection, Camacho and La Fontana cigars, all of which have received excellent ratings in Cigar Aficionado magazine. This year, Camacho Cigars® has introduced a host of new and exciting cigar lines to add to our family of cigars. These include the reasonably-priced Don Macho cigars, handmade from a flavorful blend of Havana seed filler and Connecticut seed wrappers; and a delightful cigar appropriately named Monte Carlo, to please cigar smokers with a taste for adventure and risk-taking. Keep an eye out for our other new cigars, Valencia Limited Reserve and San Marco, coming to you this Fall.